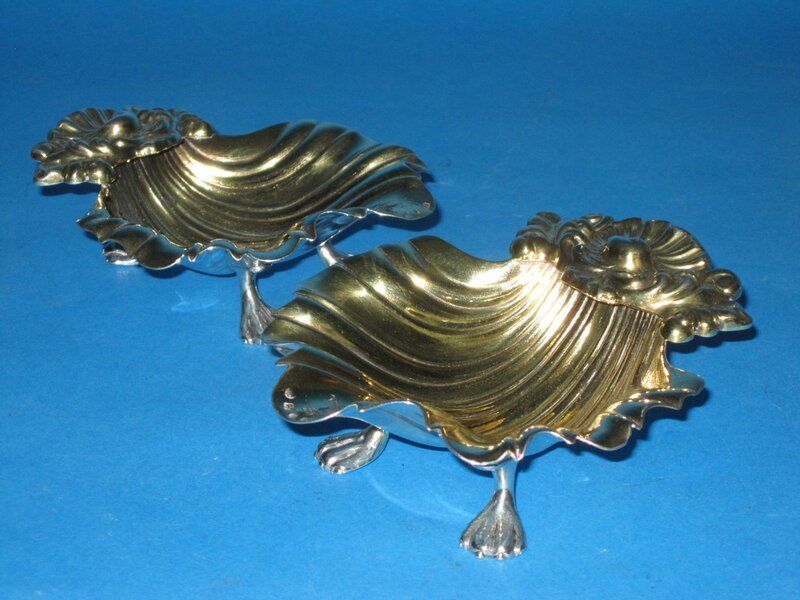 AN OUTSTANDING PAIR OF CAST SILVER & GILT BUTTER SHELLS. BY RICHARD GAINSFORD, SHEFFIELD, 1829. Of scallop shell form with cast shell & leaf handles and raised on three cast paw feet.